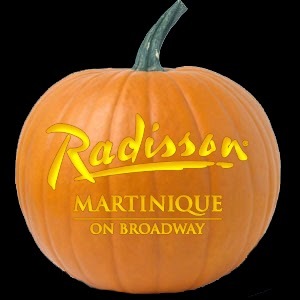 This is the perfect time to visit "The Big Apple"
In the City that never sleeps, this is the perfect time to visit New York City with a stay at the Radisson Martinique - The Halloween Parade, Macy's Thanksgiving Day Parade, and festive Holiday Decorations in December. This Holiday season instills extra merriment: dancing Rockettes at the Christmas Spectacular, held each year at Radio City Music Hall, Ice Skating in a quaint setting at Bryant Park, George Blanchine's The Nutcracker at the New York City Ballet, and the amazing annual Tree lighting at Rockefeller Center - just for starters. And since so many of our guests want to applaud a great Broadway Show, The Radisson Martinique is within easy walking distance to the theater district. This season at MoMA see Toulouse-Lautrec's famous prints and posters, or take in the Guggenheim which contains one of the world's finest collections of modern and contemporary art - including works by Monet, Picasso, and Polllck, and while strolling on Fifth Avenue, don't miss a photo-op with Patience and Fortitude, the Lions guarding the New York Public Library. We are thrilled to welcome you to our wonderful city! Love the Subway Package - We love the NYC subway and you will too with this guided 3-hour adventure! Have you ever imagined hopping on the NYC Subway and riding to your destination? Reserve our Love the Subway Package and receive a three hour guided trip through the transit system. 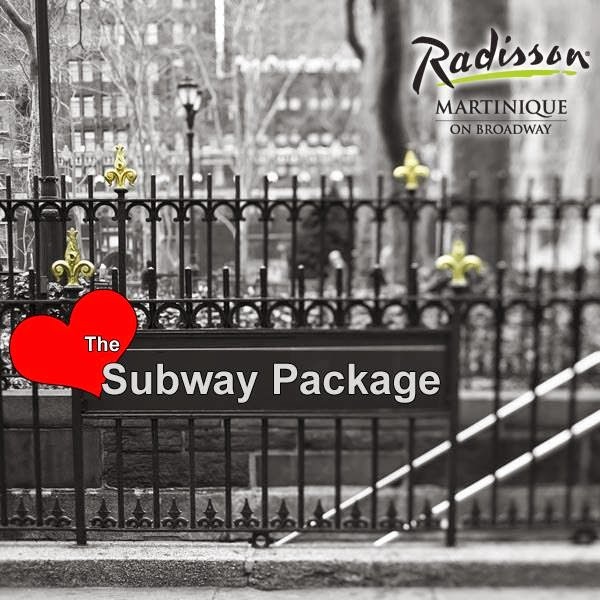 With seven train lines adjacent to the property and an additional seven lines within close walking distance, the Radisson Martinique on Broadway is one of NYC’s most convenient hotels. Your day will begin with a hearty breakfast buffet. Following breakfast, your local guide will offer a brief introduction to the subway system. Guests will then be escorted via subway to multiple sites and neighborhoods throughout Manhattan. The adventure ends where it began, at the Radisson Martinique. For more information or to schedule your tour, please call our Manager of Guest Services directly at +1 (212) 736-3800 ext. 7152 or by email rhi_many@radisson.com.